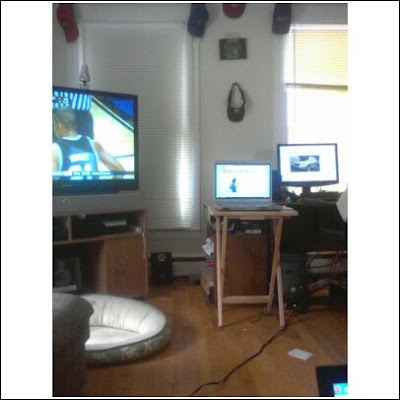 Matty arranges his living room to watch a game on his TV and two computers at the same time. All to save $69 by not getting Mega March Madness. His wife is not amused..